Founded in 2012, VeloCrush India was started with the sole intention of promoting cycling in India. If you are wondering where it got its name from, let’s make it easier: Velo – bicycle/ man-powered vehicle, Crush – To be passionate about something and India, to define its location. We aspire to promote cycling in India in every form not only as a mode of friendly transport but more as a sport. We simply do this by interviewing famous cyclists across the globe, reviewing products and bicycles, sharing tips, speaking about cycling in India events, races especially held in India and some DIY’s. We also share inspirational stories and not limit them to cycling. 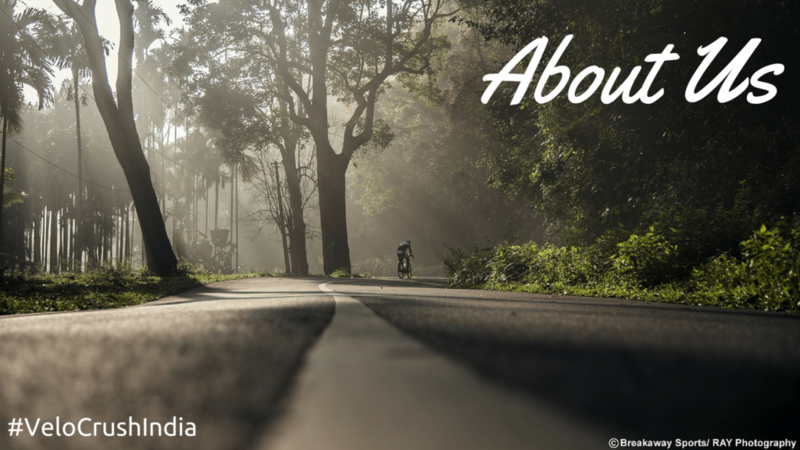 While the site has an Indian focus, we cover racing and publish cycling-related stories from around the world as well. Today, we’ve grown into a portal that covers Cycling News | Cycling Tips | Cycle Shop. We also review and sell Bicycle Accessories | Cycle Lights | Cycling Clothing | Sports Nutrition | Health Supplements and cycling classes. We also organize our own Cycle events that take you through the famous routes of Mumbai.